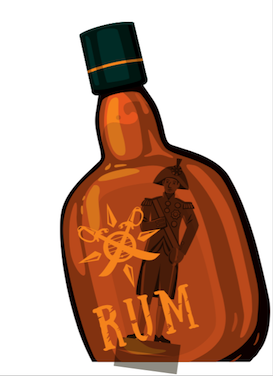 Brits have always had a raging thirst for rum. They turned it into a global phenomenon after colonising Jamaica in 1655, when privateers began trading it as a valuable commodity as Britain set about conquering the world. Its popularity waned a little in the 20th century, but now it is back with a vengeance. Off-trade rum sales grew 4% to £340 million in 2017 (Nielsen) and sales have continued on an upward curve this year, driven by spiced, golden and dark as white rum continues to struggle. Market leader Bacardi is very much on board with this mission. “Rum is undergoing massive premiumisation in the UK market at the moment, with premium rum growing 24%, and retailers can maintain momentum by activating premium rum in addition to rum in general,” says Amanda Almond, managing director of Bacardi. “They should be relooking at their shelves and building a strong premium rum portfolio. It’s important for retailers to organise the category in a way that helps consumers navigate it and truly understand what premium rum is. The UK rum category is diverse and vibrant, blessed with a wide range of big brands, craft rums and own-label offerings, and the growth looks set to continue as innovation ramps up. “Innovation is fundamental for the growth of any category, and naturally important for the expansion of the premium rum segment,” says Almond. “Several years ago, retailers and pubs would have a limited choice of rum to offer, whereas today, consumers are spoiled for choice. “Big brands have the responsibility of driving the ever-evolving trend of premium rum, giving the category that extra push that is still needed to break through on a much bigger scale. That said, all parties need to keep innovation front of mind, including smaller craft brands. Innovation doesn’t necessarily need to stop at new product development – it includes educating consumers about new and fresh ways to enjoy premium rum, the unique styles of rum-making, and interesting ways of telling a brand’s story. “Educating consumers about premium rum is massively important, and every player involved needs to play their part in doing so. It’s not only about talking to our existing rum enthusiasts, but reaching out to people who might not have considered drinking rum in the past.